What’s Space Cycle all about? 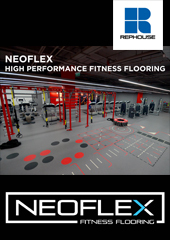 We want to be the first consumer brand based around group fitness in China. We don’t simply want to be a fitness brand – we want to operate in the fitness space, but have the impact of a lifestyle brand and support people in taking charge of all aspects of their health. We have six clubs in Beijing, Shanghai and Taipei and we’re aiming to open up to 50 more over the next five years. We offer cycle, yoga, barre and moves, which is our dance class. There’s science behind the workouts and they’re delivered in an uplifiting way. 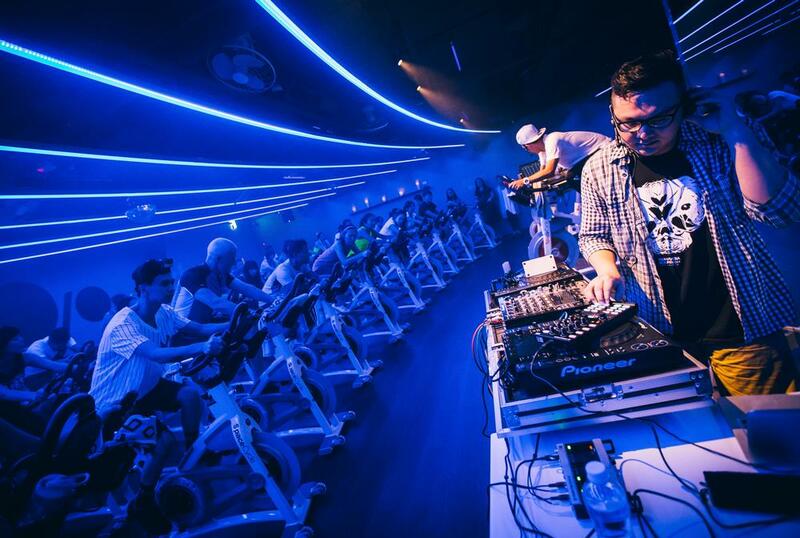 By using inspirational teaching and music, Space Cycle aims to elevate group fitness to a form of live entertainment. It’s like going to a concert – we’re providing something that doesn’t really exist anywhere else in the world. Most of our classes are designed to burn 400 calories in 45 minutes to an hour, so they’re highly beneficial, but also taught in a deeply inspirational way. How do you make Space Cycle more inspiring than the average group fitness class? We design all our own music and visual effects in-house. We have DJs in each city where our studios are and also use video mapping with technology that allows everything to be controlled by the teacher through a smartphone. We really want to take live fitness to a whole new level, so people feel as though they’re at a concert or that they’re doing something they’d choose to have as part of their social life, regardless of the fitness element – and that they’re getting an elevated workout and experience. You’ve partnered with wellness resort developer GOCO Hospitality. How did that come about? I serve on GOCO’s advisory board and that work has involved discussing the evolution happening in urban wellness. One of GOCO’s missions is to build new, cutting edge, full-scale destination wellness resorts, but they’re also planning to create smaller urban wellness centres that redefine wellness and we felt Space Cycle could fit very easily into these. 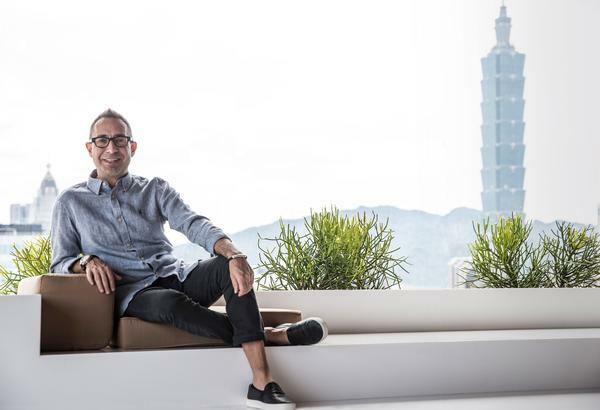 Within a typical GOCO urban wellness space – which is approximately 3,000sq m – Space Cycle requires just 500sq m to create a group wellness platform around fitness. We’ve worked together with GOCO, to develop the offering, so we can deliver at the highest level. We’re aiming to look at the way we create active lifestyle communities in urban areas in a completely revolutionary way. What are your plans for the Space brand and how will you scale the business as it develops? We’re excited to be part of GOCO’s growth strategy. The partnership is predominantly aimed at delivering international expansion – we’ve talked about launching up to 20 Space Cycle clubs over the next five years. We’re looking at different options, whether they’re branded GOCO projects or are smaller elements within a project that GOCO is developing and designing for more commercial developers. We’ve started to look at a pipeline of projects that GOCO has identified in various cities that they’re going to go into over the next few years. You do live fitness events outside your clubs. How does this work? So far, we’ve only done those in China, however, we we’d like to bring live events to some of the GOCO projects, to draw a broader audience to these centres. We really believe in live fitness. We work with celebrities, concert promoters, entertainment companies and top sports brands, to organise and develop events both offline and online. We have a number of partners we work with in China, like Nike and Mercedes. Mercedes, for instance, is aiming to develop a community around younger female consumers. So we’re developing active lifestyle content through the Mercedes Masters programme for that community, to motivate and inspire and connect them. 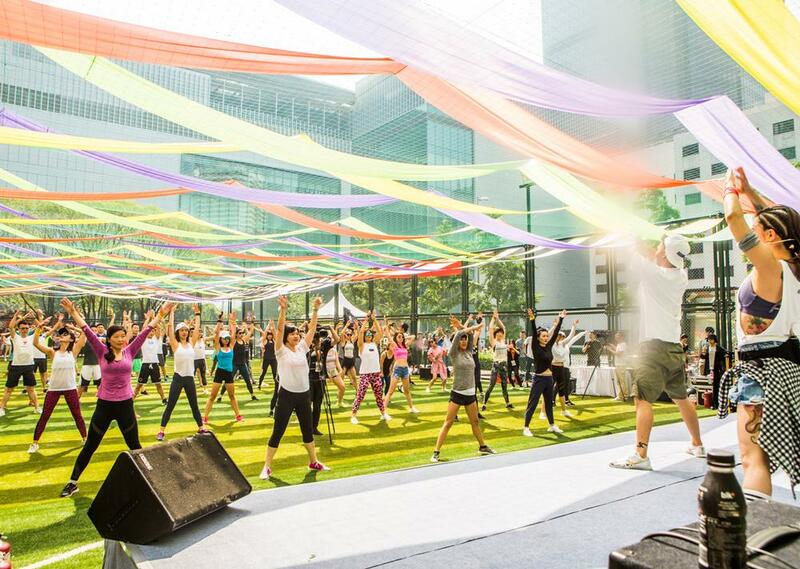 We’re creating events, that bring the top international yoga teachers to China and also the most influential celebrity fitness instructors, to give our students a truly unique experience. They’re important in how we set ourselves apart. Influencers – including professional athletes and entertainers – have taken part in our classes, and in some cases they’ve taught the class on stage alongside our teacher. We’ve done events with over 300 celebrities, which been a major force behind building the brand and exposing it to a wider audience. We’ve worked with entertainment companies on their biggest events, including launches, live stream classes and branding events. We had an event a couple of months ago where Nike brought tennis player Li Na to the studio. She’s one of the most high-profile athletes in China – her class sold out in one minute. As well as leading the class, she brought her own playlist and talked about music and the importance of core fitness. We do a lot of things like that. We like to be very aspiring and ahead of the game in the way we look at fitness. How did you make the move from music into fitness? I was the founder of Sony Music in China and Taiwan, which involved developing and managing some of the most successful Chinese celebrities. I retired from the music business in 2002 and spent two years living in Hawaii, altering my lifestyle to focus more on health and wellness. I decided I would focus the next part of my career on wellness and on something more entrepreneurial. In the music industry, the roles I had were entrepreneurial, but they were for a large corporate. So in 2005 I opened Space Yoga. I’ve owned and operated Space Yoga, the top chain of yoga studios in Taiwan, for the past 12 years. We bring teachers from around the world and also train more yoga teachers in Taiwan than any other studio chain. We have 50 teachers and 300 employees and are now poised to grow and develop the brand throughout China. 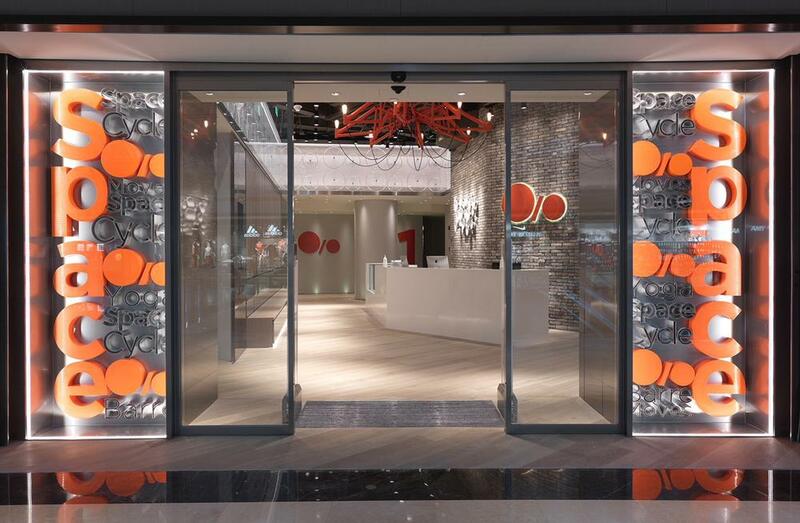 We realised we’re well positioned – between the entertainment and wellness industries – to build a national brand to impact the growing middle class in China. What led you to open Space Cycle? I had many opportunities to go back into the entertainment industry and consciously didn’t choose that path because I wanted to focus on wellness. But I’m a firm believer that sometimes you have to get to a certain phase in your career, where these things come full circle. Then you’re able to apply the skillset you’ve acquired but in new and more innovative ways. It was a combination of factors. I was going back and forth to the States a lot because my father was ill, and while I was there I was trying many different boutique fitness models. I would do these classes, anything from CrossFit to boxing to barre to yoga to cycle. And I started to look at how the teachers were trained and whether they were inspirational. The part that took me the longest to notice, which is ironic given my background, is how the teacher used music. For weeks after a class I would have the chorus of the song in my mind. I started thinking about what motivated me, and what I came back to over and over again was the music. When we work out we’re vulnerable. Because we’re pushing ourselves so hard. That’s why music is so inspirational to us. I started thinking about how empowering music can be and how I could manage and run teachers much more as an entertainment model, as if I was running a music TV platform or a radio station. I started to think of the teachers as part DJ and part instructor. This brought me back to entertainment – I’ve taken what I know and evolved it into an inspirational new fitness platform. How exactly do you use music at Space Cycle? We train the teachers on how to build and develop playlists, how to create the most effective training protocols based on the music. We teach them everything from positive psychology, to dance, to performance, to interaction. It’s about developing a whole different approach to teaching and programming a class. Also, a certain percentage of our classes are developed based around what’s trending in that city. If a particular artist is touring, for example, we’ll work with the entertainment company that represents them, their manager and their ticketing company. And then we attract people who love that artist to come along to the clubs to work out. Will you change the model when you move into new countries? We want to individualise clubs around the cities and the culture. That’s what I did in the entertainment industry in many different markets. When I worked at EMI I oversaw 45 companies in 18 countries. I looked back to the way we developed labels and artists and offerings that were directly related to those markets. Now I’m doing that with the Space brand. We’re working with many different entertainment companies and sports brands with the aim of attracting celebrities in each of those markets. On top of that, we have a number of major international celebrities that are also involved in the brand in different ways. My ultimate goal is very clear. I want to build a social lifestyle brand that combines music and wellness to create something that inspires people. I want to change the way people think of working out, so it’s like going to a motivational concert. I don’t want to just run a gym, that’s not exciting to me. I want to build a form of lifestyle entertainment around group fitness. I don’t want to dumb down that experience either. I want to teach that and elevate it to an inspirational level. Space investor Alibaba – the Chinese e-commerce business – is one of the top 10 most valuable companies in the world with a current worth of US$54bn. The company is the world’s largest retailer, with operations in over 200 countries and also one of the biggest VC and investment corporations in the world. Alibaba’s CEO is Jack Ma.